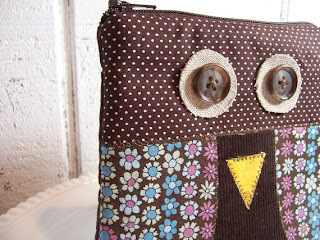 "Don't ever forget how special you are"
an ADORABLE owl bag with a cute saying. 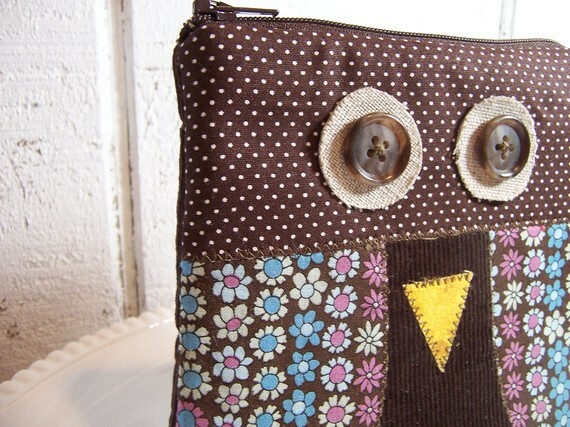 this owl wallet / pouch would make a perfect gift for someone you care about. give it as is or stick a gift card inside or some home made soaps. "oskar my cat" is an etsy store that offers homemade crafts made by a stay at home mother of four. Each item is unique and has its own European flaire to express the seller's own culture. This bag is padded so it would be great to protect a camera or a cell phone. It has a zipper and is lined with pretty fabric. Size of this bag is 6 x 5 inches. 5) just comment on this post with contact info. giveaway will end friday, october 31st at midnight. I normally never enter in giveaways because i never win, but this looked so cute. I love it, love your blog too. And here is just a comment for an extra entry. When I have time I'll get on etsy and heart this for another entry. Really cute! I'm already a follower of your blog. I hearted the oskarmycat shop! I hearted the owl bag! You can contact me through this email: anticonformity_chick (at) yahoo (dot) com. I follow you! And thank goodness! And hearted the sweet little pouch! Aww I LOVE this!!! Owls are so cute!!!! ...and I hearted the owl bag! Oskarmycat is my mom's etsy shop! She loves sewing all these cute little things and she puts a lot of care into it so you know its great. Good luck on the giveaway!